Going from Serverless to Elixir — Recently a developer shared that an API Gateway + AWS Lambda that was costing $16K/mo was rewritten in Elixir and running nodes at 1% of the cost. Here’s the full story. AWS EC2 Introduces New T3 Instances — EC2’s T instances are well known for being relatively cheap and providing burstable performance. T3 goes a step further with even cheaper options (starting at under a penny an hour) and seven size options all with unlimited bursting. 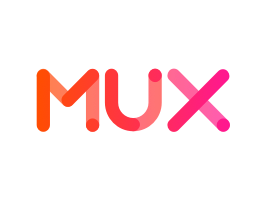 Mux Video API - from the Creators of Video.js and Zencoder — Add scalable live and on-demand video to any app, using any web framework. Mux Video uses machine learning to host, encode, and deliver video more efficiently and at higher quality. How to Deploy an App to Production with an Actual Button — A fun serverless-led tutorial on building a process that lets you deploy and release an app simply by pushing an Amazon ‘Dash’ button. AWS Lambda and the GitHub API are also used. Netlify Drop: Drag and Drop Static Hosting — Used to be a separate service called BitBalloon but Netlify, the static site hosting service, has added HTTPS and free custom domain support. Just drag a folder into the browser and get it hosted immediately. How Rust’s Standard Library Was Vulnerable for Years and Nobody Noticed — Rust is a systems programming language that prides itself on memory safety and speed. Auth0's Architecture: Running on Multiple Cloud Providers and Regions — How a major authentication service platform architects its services to ensure scalability and high availability across 1.5 billion logins a month. Re-architecting Slack’s Workspace Preferences: How to Move to an EAV Model to Support Scalability — Early design decisions can cause problems at large scale - an issue Slack is running into. Dropbear SSH: A Lightweight Alternative to OpenSSH — Ideal for memory-constrained environments.